The difficult times faced by BlackBerry this year have reached an almost inevitable conclusion: the Canadian company has announced that it would stop internal development of its smartphones, and instead focus on software and services while relying on partners to design and build any future hardware. "The company plans to end all internal hardware development and will outsource that function to partners. This allows us to reduce capital requirements and enhance return on invested capital.”," CEO John Chen said in a statement. The decision marks the end of an era for the company. In 2009, BlackBerry and Nokia were responsible for 70 percent of smartphone operating systems. Today, the company holds around one percent of the market share. Chen has twice said that BlackBerry would exit the hardware business become a software company only if he could not make it profitable. The company’s second-quarter results showed a net loss of $372 million, or 71 cents per share, on revenue of $334 million. BalckBerry’s move away from the BB 10 operating system to Android hasn’t been the success it hoped. The company’s first Android device, the Priv, ended up having its price cut in April due to low sales of around 600,000 units since launch. The company is working on other Android devices, including the DTEK60, a successor to the DTEK50 (a clone of the Alcatel Idol 4 with BlackBerry branding). Back in February, WhatsApp announced that it was dropping support for older operating systems, including BlackBerry OS and BlackBerry 10. A few months later, Facebook and PayPal revealed they would also be withdrawing support for the platform. Even the President had enough of the company's devices. In June, Barack Obama finally changed his BlackBerry for an unnamed smartphone. 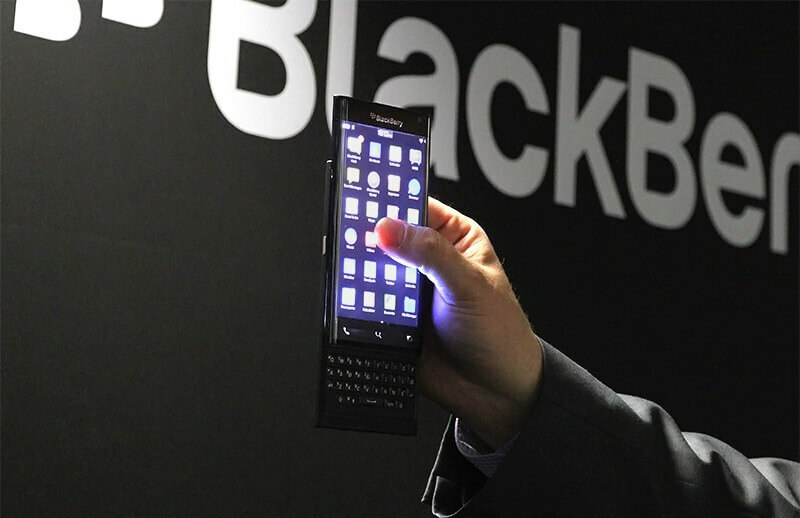 BlackBerry will live on through its software offerings, and BlackBerry devices will continue to arrive through third-party manufacturers, but 2016 is fast becoming a year to forget for what was once one of the most popular phone manufacturers in the world.